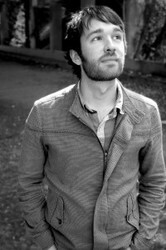 Isaac Marion was born near Seattle in 1981 and has lived in and around that city ever since. He began writing in high school and self-published three novels before finally breaking through with Warm Bodies. He currently divides his time between writing, playing obscure instruments in obscure bands, and exploring the country in a 1977 GMC motorhome named Baleen.